Hon’ble Padmabhushan Shri .E. V. alias Balasaheb Vikhe Patil , a unique visionary philanthropist continued the Herculean task of looking after the institutions meticulously founded and also continued opening new institutions wherever needed. Hon'ble Namdar Saheb Shri. Radhakrishna Vikhe Patil , Minister for Agriculture, & Marketing Government Of Maharashtra possesses dynamic personality and pragmatic vision. He is taking very keen interest in the progress of institute and has taken-up the Herculean task of modernizing the systems and Processes. 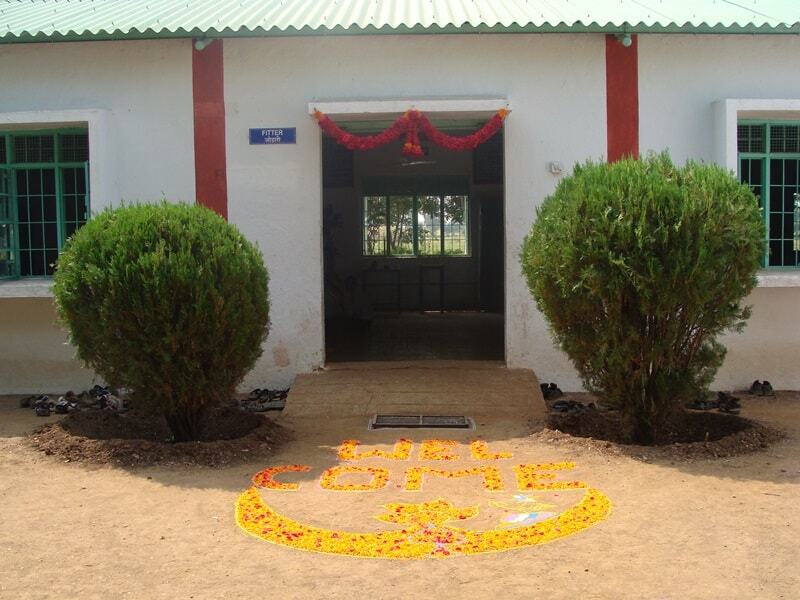 The Industrial Training Centre Rahata is established in August 1999 to provide vocational training to the rural youth of this area .With the view to make the youth self dependent and confident to face the challenges of present employment crisis, this institute started functioning under the edges of Shirdi Sai Rural Institute catering vocational training for multiskill trades. All the I.T.I. courses are affiliated to Director General Employment & Training (D.G.E.T) New Delhi. Develop the skill of drop out students & create their employment opportunities. To generate self-employment in the rural India. To upgrade the skill of rural people & develop new generation of skilled workers. To generate self-employment & confidence in women’s through skilled training. To change the attitude of rural and poor students from conventional Education to employment generating education. Skill Initiative Programme for drop out students. Earn and learn scheme for poor & needy students. Scheme for up gradation of skill. Conduct Various Entrepreneurship Development Courses. DGET File Reference No. DGE&T File No- 6/13/48/99-Tc Pvt.